Letters to a Young Librarian: Just For Fun: Do You Smell Fudge? You remember that enormous warehouse at the end of Indiana Jones and the Raiders of the Lost Ark where they store the ark? Imagine the stories of the people who retrieve and guard those artifacts, those items with supernatural powers, and who maintain the facility. Add in a healthy dose of steampunk aesthetic, and you'll be close to Warehouse 13. But that's just the reason I started watching it. How about why I love it so deeply...? First, there's the fact that it's a true ensemble cast. Each character gets a background and human characteristics and family, and they're all in every single episode. They have to work together to solve the problems, and when they don't... well, it doesn't work well. Second, it's goofy. It's not a spoiler to tell you something from the first episode, right? 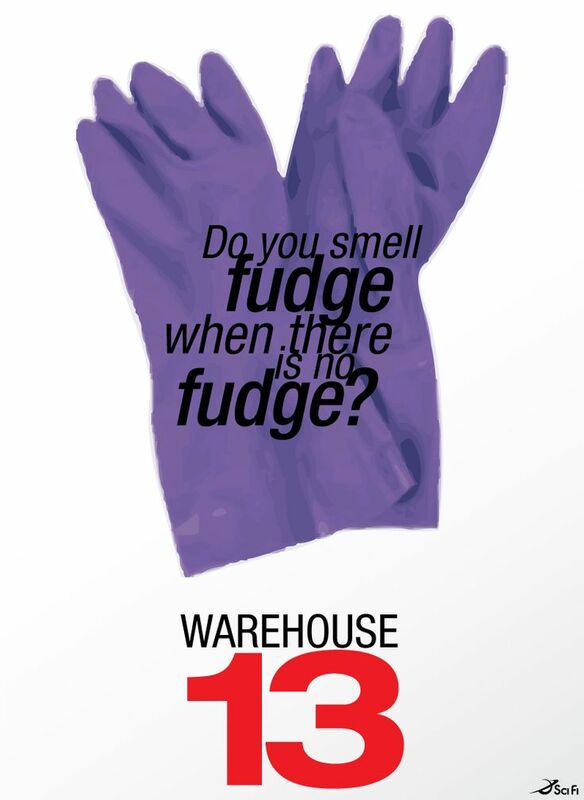 Anyway, during the first episode we learn that an important diagnostic question employed by agents of Warehouse 13 is, "Do you smell fudge when there is no fudge?" Best part? That question actually comes in handy later in the series. 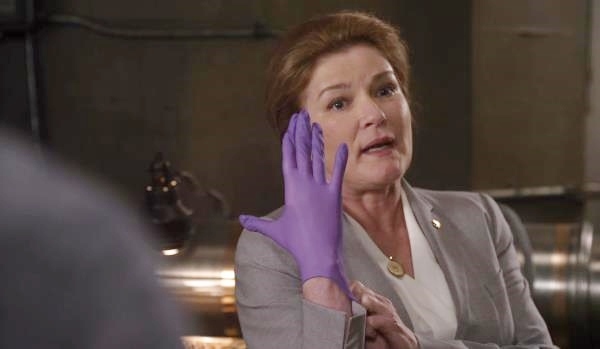 Incidentally, the purple gloves are what agents wear so the artifacts don't impact them. Third, there are so many fabulous guest stars! Kate Mulgrew and Anthony Head and Cherie Curie and Roger Rees and Anthony Michael Hall and so many more than I can name here. Fourth, literature and history is woven throughout the series. That picture above? 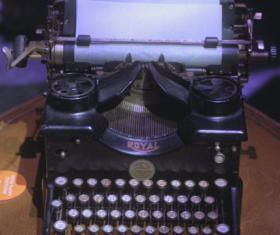 That's Sylvia Plath's typewriter. I won't tell you what powers it has, but I will tell you it's a very powerful object. There is no one genre or period which gets more focus than another. Studio 54 comes up, as does Lewis Carroll. HG Wells gets mentioned plenty. The Saracen-Arab Wars. And so on. And so on. Finally, this show was my first encounter with a realistic portrayal of an American practicing Buddhism. So many times in popular culture we see Buddhists as these completely enlightened and fully realized individuals who are a cross between a cowboy and the Dalai Lama. But most of us American Buddhists are just people on a path who are working towards and seeking that state. Finally, in Warehouse 13, I saw my own experiences represented. The character, Steve Jinks, and his Buddhist practice made me feel so much more comfortable about my own path than any of the books or articles or dharma talks I've attended. How about you? If you are already a member of this fandom, what's your favorite thing about the show? If you aren't yet a fan of Warehouse 13, did I convince you to give it a try? I was visiting a friend and she mentioned this show she was watching. After trying to explain it she said why don't we watch an episode. She showed me the second episode because she said the first one was a little creepy but the whole show wasn't like that. Since Warehouse 13 was on Netflix at the time, I had soon watched the whole thing. So if Warehouse 13 sounds at all interesting to you watch an episode or two and you'll likely enjoy it and be ready to watch the rest. I really liked that it was an ensemble cast and enjoyed the relationships between the characters. I'm not sure what else I can say that isn't a spoiler but I did like the H.G. Wells bit. 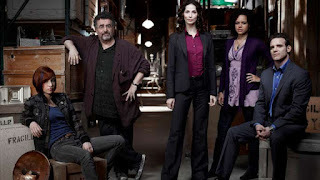 I LOVE Warehouse 13! I just finished watching Gravity Falls for the first time and it gave me a major jones-ing to rewatch WH13. COMPLETELY underappreciated and TOTALLY awesome. This is my very favorite show! I'm not a Buddhist but I really like Steve as a character and I was HOPING his religion was well-portrayed. I am happy to hear that you felt that way!